Lea Marquez Peterson concedes CD2 to Ann Kirkpatrick. Marquez Peterson thanked her friends, family and campaign team as she conceded her run for Congress to political veteran Ann Kirkpatrick. "I'm gonna still stay very involved in the community," she said. "I'm very excited about what could potentially happen in the future...This race is really about the community and about Southern Arizona, so I look forward to working with each of you as I stay here and stay engaged." 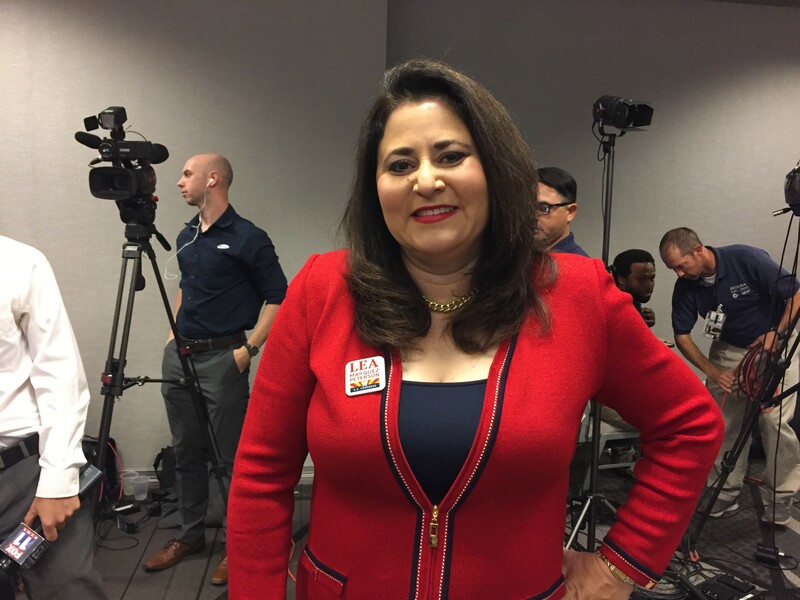 The business woman is well known locally as the president and CEO of the Hispanic Chamber of Commerce. She's historically had an open dialog with press and moderate views, such as opposing an end to DACA. During the race, she largely stopped taking calls from news outlets and leaned right to stay in step with the President's agenda. Democrat Ann Kirkpatrick, who previously held the CD1 seat before moving to Tucson to be closer to family and/or run for CD2, had name recognition and national support. Kirkpatrick won by over 19,000 votes.